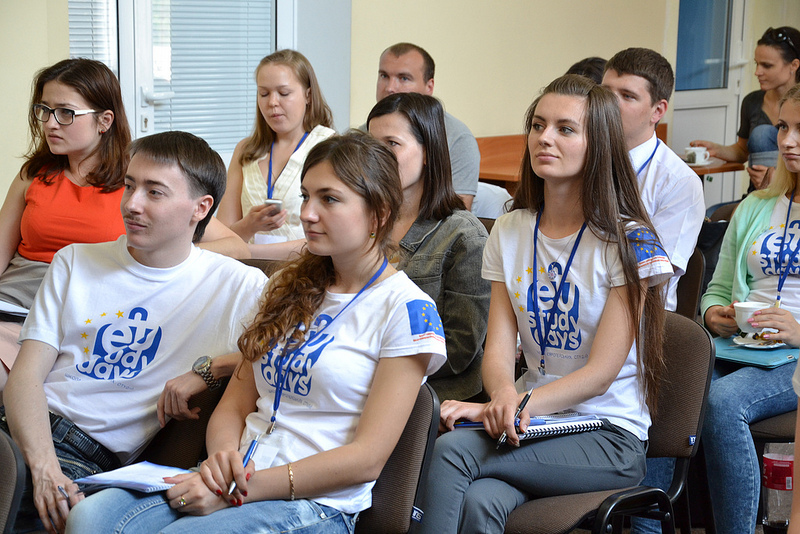 As a cornerstone of Ukraine’s foreign policy, the energy sector was among the major top topics of discussion at the third session of EU Study Days, a student-oriented education project launched by the EU Delegation to Ukraine. On the EU’s energy talks. The EU’s energy policy has several objectives, including the establishment of a truly integrated European energy market, enhancing energy efficiency, and mitigating risks by diversifying energy supply. In order to establish a genuine European energy market, the EU will have to invest around €1 trillion in its energy infrastructure by 2020. According to Herman Van Rompuy, President of the European Council, the EU strives to develop sustainable and affordable energy resources. 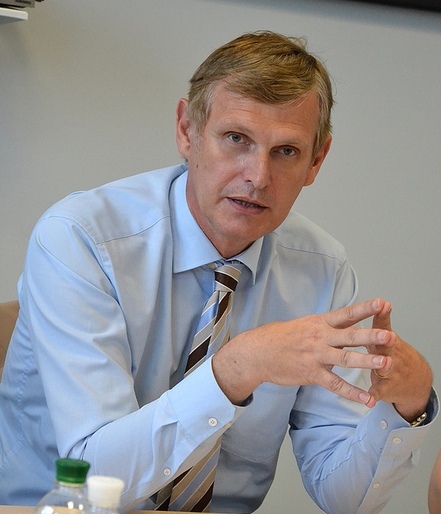 That means that energy efficiency is one of the key issues being tackled in the EU’s internal and external energy talks, including those with Ukraine. The EU’s dependence on a few major energy suppliers has encouraged the Union to put diversification of supply at the center of its energy policy. The EU’s goal is to have no individual Member State reliant on a single energy supplier. This goal demands that Europe partly substitute traditional energy resources by introducing renewable energy resources as well as unconventional fuels such as shale gas into its energy mix. On EU energy packages legislation. The above-mentioned energy policy objectives require the EU to harmonise energy legislation among its Member States. They also necessitate legal provisions to boost competition on the European energy market. In 2003, the EU introduced its second energy package, consisting of gas and electricity directives. The package specified the principle of “unbundling” energy transmission networks from producers and suppliers in order to ensure their independence. “Unbundling” ensures non-discriminatory access to energy resources for all market agents, and eliminates the anticompetitive shielding off of ‘home markets’ by vertically-integrated energy companies. In 2009, the EU moved further toward liberalising its energy market and adopted the third energy package. It took “unbundling” a step further by encouraging electricity and gas suppliers to give up their ownership of energy transmission networks and tightening the rules for those not prepared to give up their ownership. On the EU’s third energy package. The third energy package introduces more strict rules, particularly around “unbundling” the supply business and network business. It suggests three options for the approach an EU member state can take. The first option is the most radical: it says that there should be no common ownership between the network and the supply business. This means that a supplier should not own the network. Some EU member states have opted for this solution. The second option is less radical: it provides for introducing an independent system operator. In this case, the network remains under the ownership of the previous owner, but that owner does not operate the network and does not decide on the rules of network access. Rather, the owner negotiates a kind of a lease agreement with another company to operate the network. Finally,the third option imposes strict rules on the integrated company. It specifies clear requirements to ensure that the way the company operates the network is not aligned with its own supply interests. Interestingly, even in countries that chose the third option, such as Germany, many integrated companies decided to sell the network, believing it did not make sense to retain ownership since the network no longer gave them a competitive advantage. This suggests that the EU’s “unbundling” rule is effective. On the Energy Community (EnCT): In 2005, the EU partnered with a group of Balkan countries to establish the Energy Community (EnCT) to extend the EU’s energy-related regulatory framework and the European Energy Market to its neighbouring countries. Ukraine officially joined the EnCT on February 1 2011 and committed to implementing the second EU energy package by January 1 2012. In addition to full-fledged EnCT contracting parties, some countries sit as observers at the EnCT, including Norway, Turkey, Georgia and Armenia. EnCT membership entails energy sector reforms that should also facilitate energy-related investments in infrastructure and bring about market integration. The EnCT is also eager to impose EU rules related to environment, energy efficiency, renewable energy and oil on its contracting parties. On energy provisions in the EU-Ukraine Association Agreement. Based on the EnTC commitments, the relevant Association Agreement articles aim to bring Ukraine into closer alignment with the EU’s energy market.